Meet the Lucero Smart Bulb - The Smartest Bulb in the World! 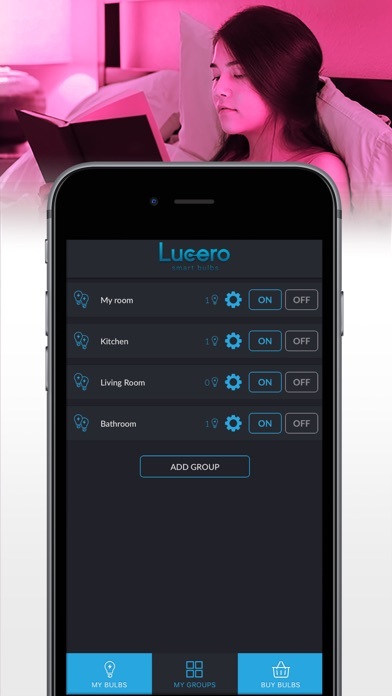 With Lucero Smart Bulb App you can control all your smart LED bulbs in your house from your iPhone or iPad. What is Lucero Smart Bulb? 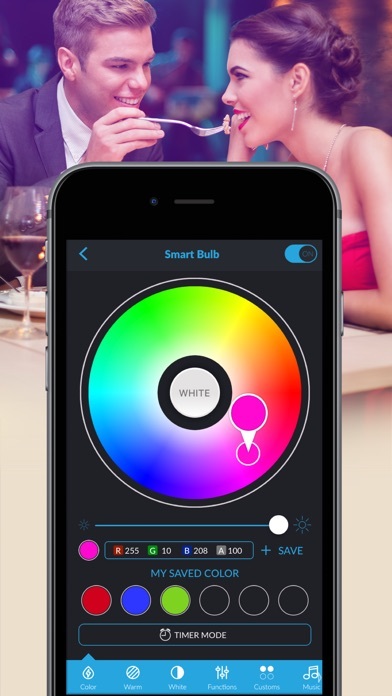 Lucero Smart Bulb is a Bluetooth-smart app-controlled LED dimmable multicolor light bulb. Lucero Smart Bulb can help you relax or concentrate, change the atmosphere in any room, or bring a party to life, while saving energy. Key Features: 16+ Million Colors - Personalize your lighting with a color palette of over 16 million colors and a variety of tones of white, from warm yellow to vibrant blue white. And every color is dimmable. Perfect for home, porch lighting, party, kitchen, living room and bedroom! Music Sync & Mic - The lights will sync to music on your smartphone or to any sound or music captured from external sources. This is great if you want to relax and unwind after a long day, make your kids bedtime an enjoyable experience, or help kick start that party. Sync Control by Group - Connect to up to 50 bulbs from your app. Control each one individually or group them into different groups to control simultaneously. 20 Pre-Programmed Modes - Cross fades, Flicker, Jump... Camera - Capture colors with your camera, and the bulb or group of bulbs will change to this color. 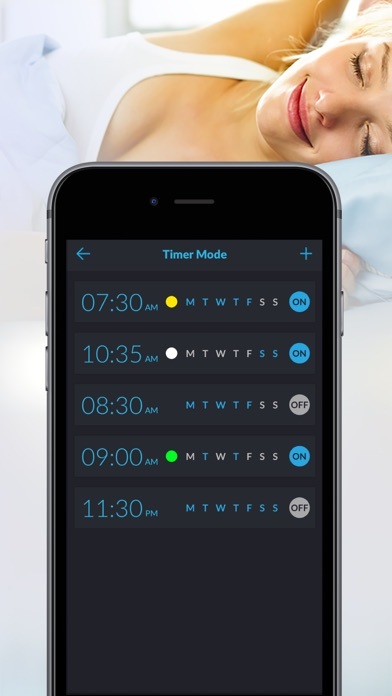 Timer Mode - Use the timer option to schedule actions, turn your LED light bulbs on and off at any time. It is a great way to wake up in the morning, or put your kids to sleep at night. Save Your Colors The app allows you to save your favorite colors. Built in memory function retains the colors or program modes. Energy Efficient Lighting LED Bulbs: Long-lasting, Durable, Mercury-free, Efficient and Cost-effective. Welcome to the new age of personal lighting! 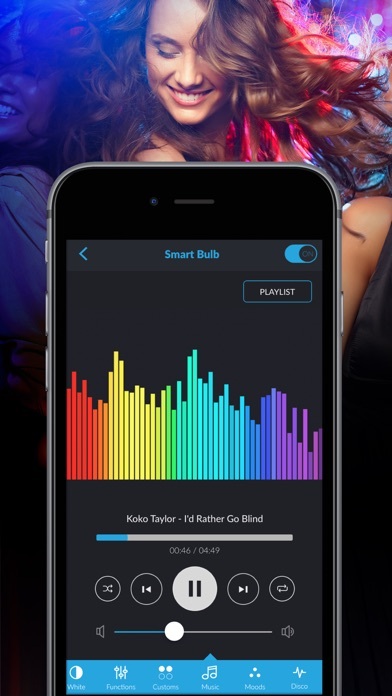 The age of Lucero Smart Bulb! Not compatible with Siri or even Shortcuts! I’ve had these bulbs for over a year now And they’re great, but I would LOVE to be able to say “turn the lights off” and have this work. Quick access panel is useful, would be great to push an update so that those actions are also surfaced to Siri. Great lights but no longer on Amazon, did they go out of business? Their last update was 10 months ago, sure seems like it. Sad because their lights are actually very good for the price. Lights started flashing one day and the app won’t communicate with them to shut them off. They’ll show up briefly, then disappear. Multiple times a week my bulb loses Bluetooth connection to the app so I have to manually cycle the power then enter all my timers all over again. Useless. I'm considering just getting a new bulb from a more reliable company since Lucero obviously has no interest in making products that actually work. This product does not work at all. 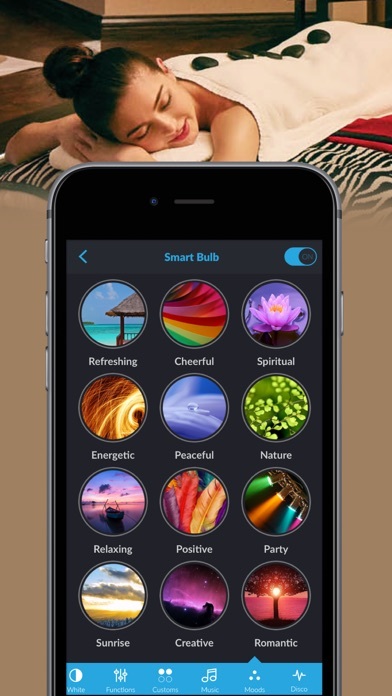 I bought the bulb and downloaded the app. And although the app says I’m connected to the bulb I’m not. What a waste of money. The app just doesn’t work half the time. I cant change the color or turn it on. Can’t set a timer. Most of the functions i just can’t use. I have a Bluetooth that just stopped talking to my Bluetooth about a month ago. Turned on and off the Bluetooth and start and closed the app several times but still nothing. I never thought I would get excited about installing a lightbulb. But the Lucero bulb did just that. The instructions from the company before the bulb arrived was great! I followed the directions (which were well written and easy to follow) and was able to connect to the bulb right away. The warranty was also quick and easy. So far so good! Thanks!